A healthy heart is a result of a healthy lifestyle. Eating right, moderate exercise and a stress free environment are ways to keep our health in optimum condition. All the recipes in this book have been tested and tasted using minimal amounts of oil and are innovative, yet simple and easy to cook and will leave you feeling full and satisfied…and not like you’re on a deprivation diet. 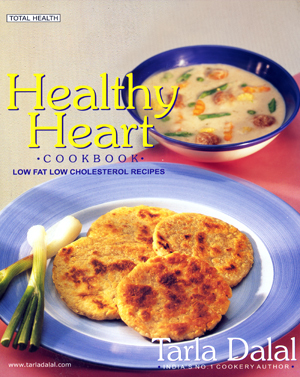 Also included are HEALTH HEART MENUS with their caloric, fat and fibre count to help plan your meals.